When you start looking for that perfect commercial property, there are several factors that you want to take into account before you buy. You wouldn’t buy the first home that you looked at until you looked at several more first. So why would you do that when it comes to commercial real estate? Before you go out on your first viewing, take these factors into account. “Location, location, location!” You see and hear this all of the time but it rings most true for commercial property. If you have a great store in a terrible location, your business will struggle. Also, if the property doesn’t have enough parking or lighting, customers will not stop in. Seeing potential repairs or renovations before buying is a great idea. If you prepare for them and intend to do them after the sale, you won’t lose money in the long run. Issues like asbestos and lead paint should be checked out. Have a full inspection of the plumbing and electrical as well. 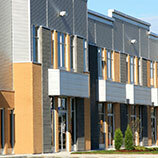 By the time you start looking at commercial real estate, you should know what kind of building you are looking for. If you want a restaurant, you need enough space to hold guests and build a kitchen if there is not one. 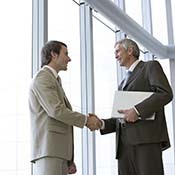 If you are starting an accounting firm, you will need commercial office space. All of these need their own setup which means different zoning. If you fall in love with a building but need to do renovations to make it into a restaurant, you will need to check to make sure that the zoning laws or building codes will allow you to do that. The last thing you want is to buy a building only to find out that you can’t do what you were planning. As stated before, how much parking you have to offer should be a deal breaker. If the property only comes with 5 parking spots and you are planning to have a dine-in restaurant, you will need more parking. You should always check to see how accessible the parking is. If the lot is behind the building and customers have to walk around to the front door, it may cause a loss in sales. You want your business to succeed so why not prepare for that as well? If you plan on your business growing, make sure that you will have the room to expand before you buy. Unless you plan on purchasing a second location, expanding is the best option because you can add more office space or a bigger dining. You could even add a second story if you are able too. On the opposite end, if you don’t grow like you planned, can you lease out the extra space that you are not using? All of these factors can play a major part in what commercial real estate you choose to invest in. You should take all of these into consideration before making one of the biggest purchases in your life. When you are ready, call the experts at North Bay Property Advisors and we can help you find the perfect commercial property. At North Bay Property Advisors, we make finding the perfect property easy! 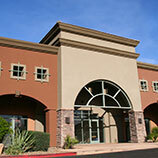 Let us help you get what you deserve out of your commercial real estate sale. Contact our team today and let us help you find the real estate solution you're looking for!